It will be made ​​of Mull, and the insides of the remaining buildings. I really want to have this map. 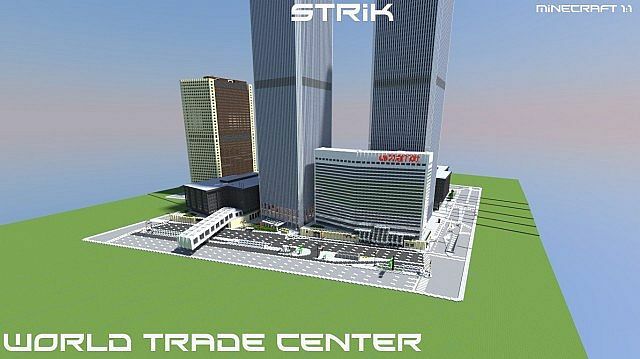 For some of you in the comment section complaining that there is no download link, I actually have a copy of STRIK's WTC map, but it has most of lower manhattan made by Daget and missing the top of the towers. Don't ask me how I download it. But if you want it just private message me. Just give us the link dude, why don't you post it ? is there some reason ? Everyone. The download used to be on, but anyone who didn't were unlucky due to the fact its a dead link. My latest project was disabled too, but I managed to get it on. I'm trying to make it happen for all of you people. can you make it downloadable. how it it 1:1 if that would mean going over the 256 meter limit? when it will be 100%? The project is dead, DAGET won't be back online. Man please release the download. 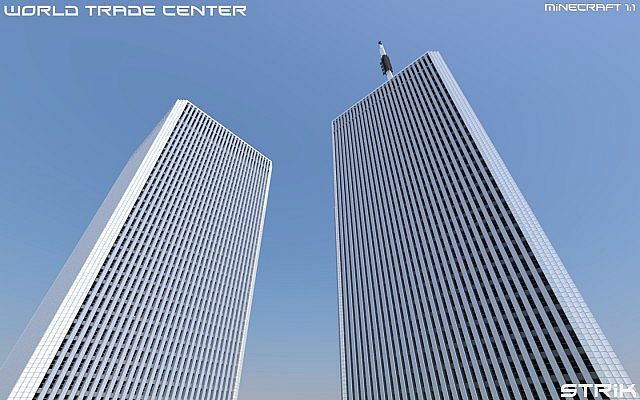 Btw did you make the observatory and restaurant on top of the Twin Towers? Dude, what are you waiting for on this? 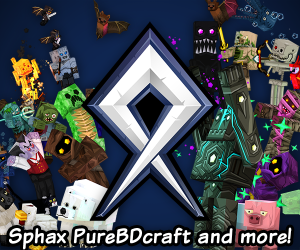 You got 10,000 views on your video, and this looks truly amazing! Please put it up! what blocks did you use for the roofs of 3,4,5 and 6? 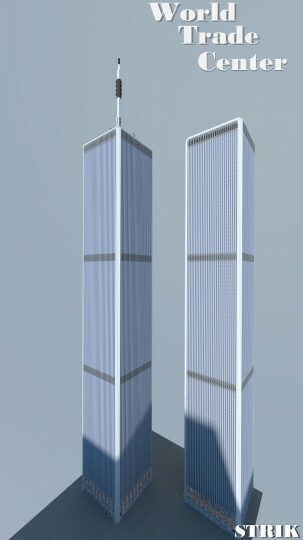 What about for the twin towers roof? 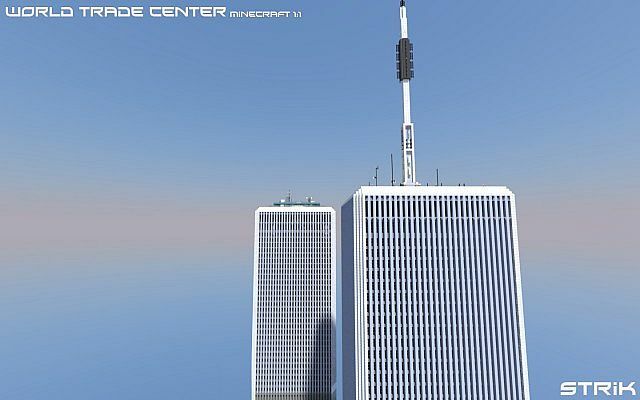 how did u get the lighting in the towers like that? 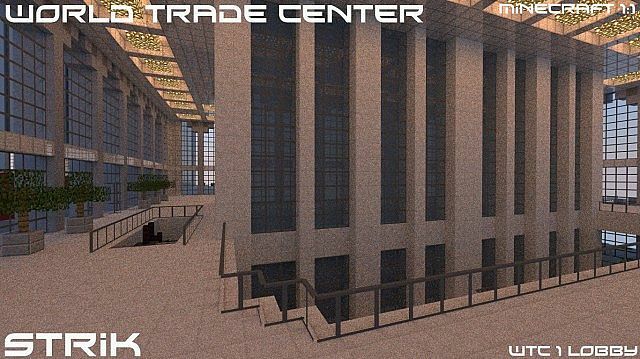 was there a specific design with the lighting?im trying to make mine have that kind of realistic lighting. 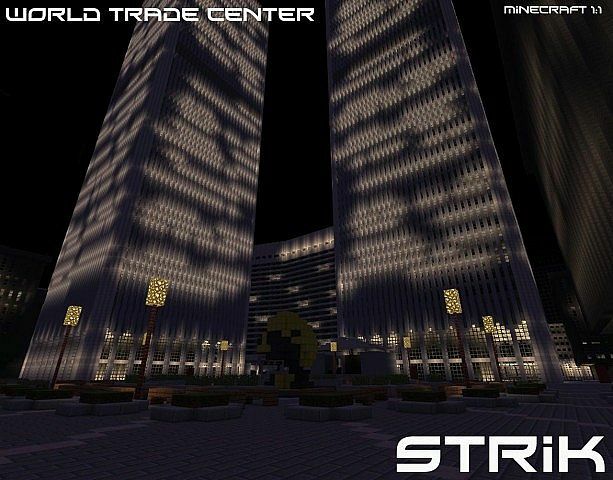 Strik, this is amazing! 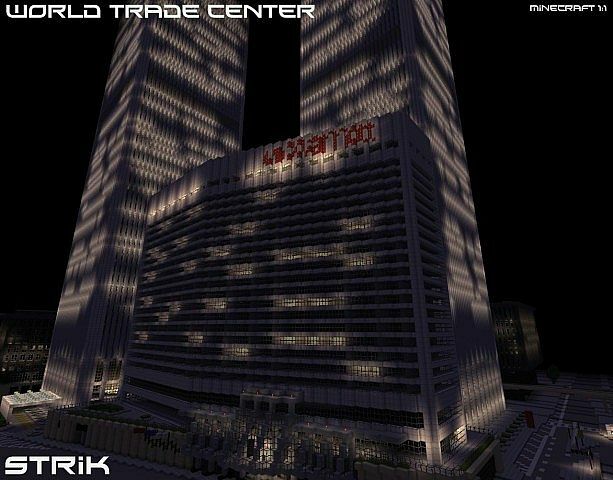 But for your info, if you actually viewed this guys WTC, it's MINE he stole it from me. Idiot. He needs to learn to stop STEALING FROM OTHERS! But you, this is amazing! Just wanted to let you know that he stole mine though haha. Look at the date he posted his, and look at the date I posted mine. That's the funny thing. The even FUNNIER THING is that I have videos on youtube of me BUILDING IT! Hilarious, right? So there's never going to be a download for this? Y para descargar el mapa? How many floors do each tower have ? Will there ever be a download for this world? 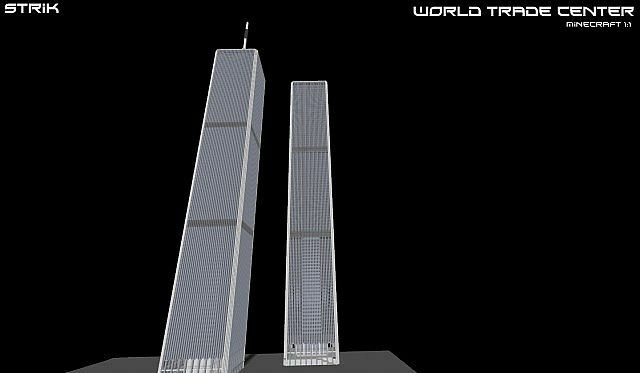 That would be amazing, i hope they update the world height so the tops of the towers can fit on!, very beautiful btw, oh, and do you know what the small thing is on the plaza between the two towers infront of the marriott ? Yes, if the height increase is great, exactly what you said at the expense of Marriott? thats the ideogram. its a cool statue that was there betwen the towers and the marriott. 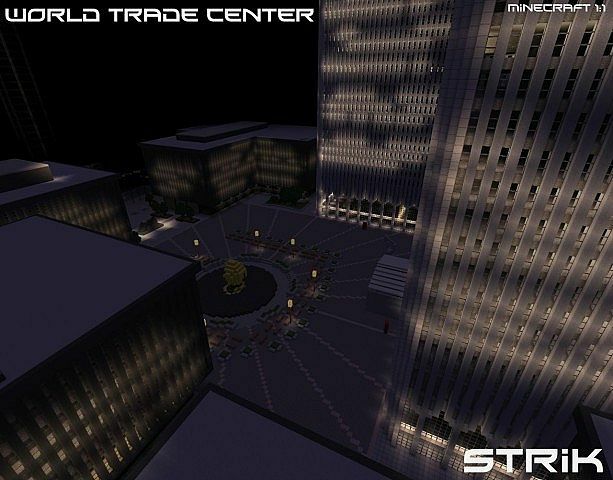 Great build STRIK I absolutely love it. Salute to all those who died on this tragic day and to those who fought in remembrance of them. 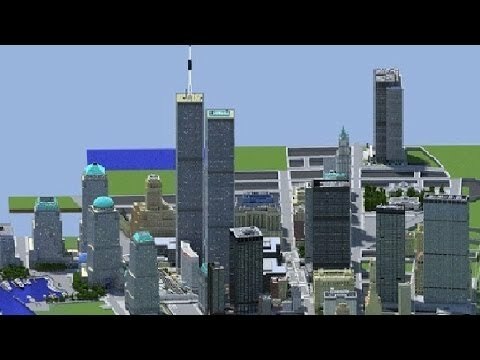 How are you building 1:1 with the minecraft height limit, is that why you never show the top of the towers? This is AWESOME! 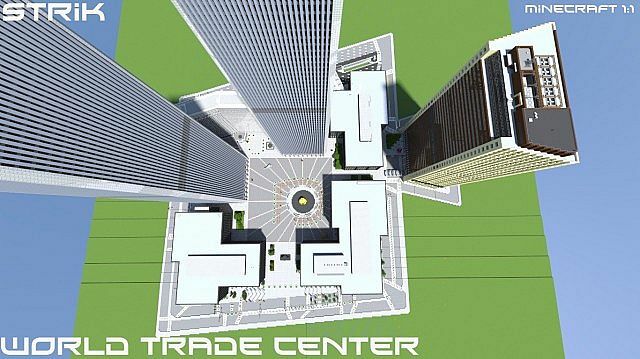 the best minecraft world trade center I've seen yet! keep up the good work! wait, you said "soon to be", but then you say "no"? is it yes or no? Well, I am not one to question, after all it is your build and you can choose what do to with it. But could you atleast explain why you are not giving us the privillege of taking a look at grandeur of your work for ourselves. I Have To Say This Word ----- A-M-A-Z-I-N-G amazing! when would you put the download up? 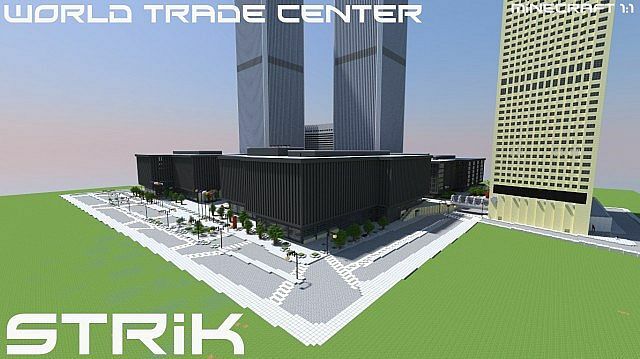 collections 10 New York, Manhattan, best realistic replica projects ever!